I recently appraised a home selling in The Founders Club as a Short Sale. There are several opportunities for purchasing a home in this community below replacement value. 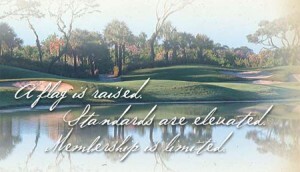 Call me if you have any interest in The Founders Club or other communities in Sarasota. Beyond the winding entry drive of the guarded community, over 700 verdant acres are accentuated by 90 acres of picturesque lakes, and stands of pines, palms and old oak hammocks that also provide unique canopies above the meticulously landscaped streets. Only 262 homes throughout define an intimate setting, offering the best aspects of the community and quietude, 200 enjoying direct golf course vistas highlighted by free-flowing fairways, wetlands and natural preserves. The entry gatehouse, the golf clubhouse and the homes themselves are designed to blend the private club nature of The Founders Club with the beauty of these most pristine surroundings. To preserve the coveted level of exclusivity within The Founders Club, the developers have hand-selected a group of distinguished homebuilders to help enhance this cherished landscape. Their homes capture the spirit of community for the modern day and give a reverent nod to history with well-mannered designs recalling Sarasota’s rich architectural heritage. A very private traditional golf club community combining the venerable traditions of the game with the natural beauty and desirability of Sarasota. Membership in The Founders Club will entitle a privileged few to 18 exhilarating holes of signature Robert Trent Jones, Jr. designed “core” golf and the amenities of a very private club.